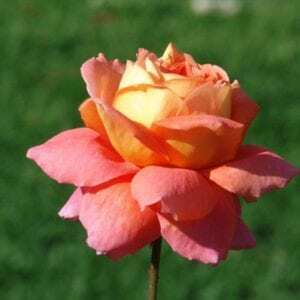 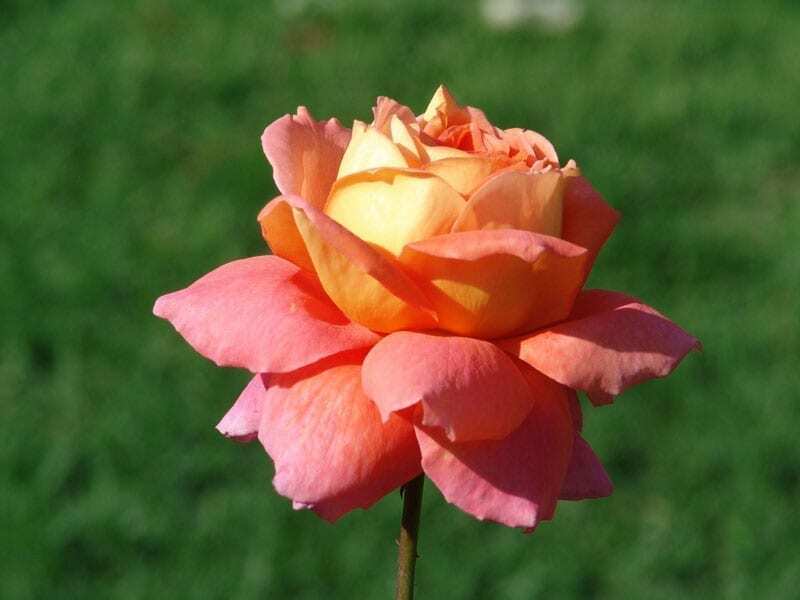 Blooms with the most attractive combination of bright apricot-orange & cream open quite unusually with every petal folding outward until a full feathery, flaming ball is attained. 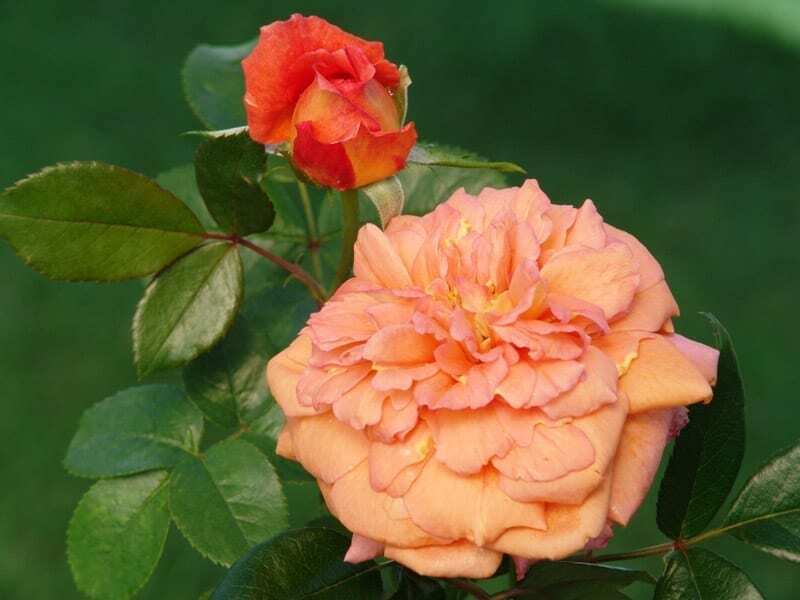 The combination of lustrous red & glossy green foliage is an added attraction. 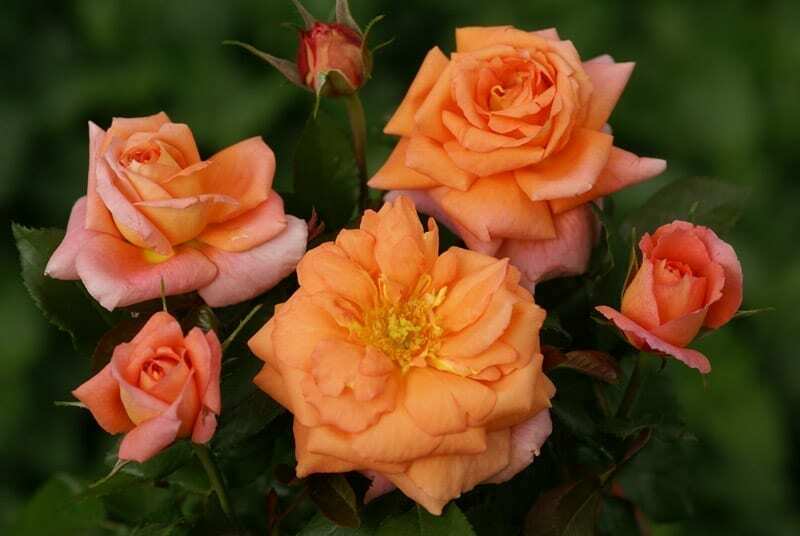 Very free flowering – easily competes with the best of floribundas.